Me and my daughter are fans of Gymboree. 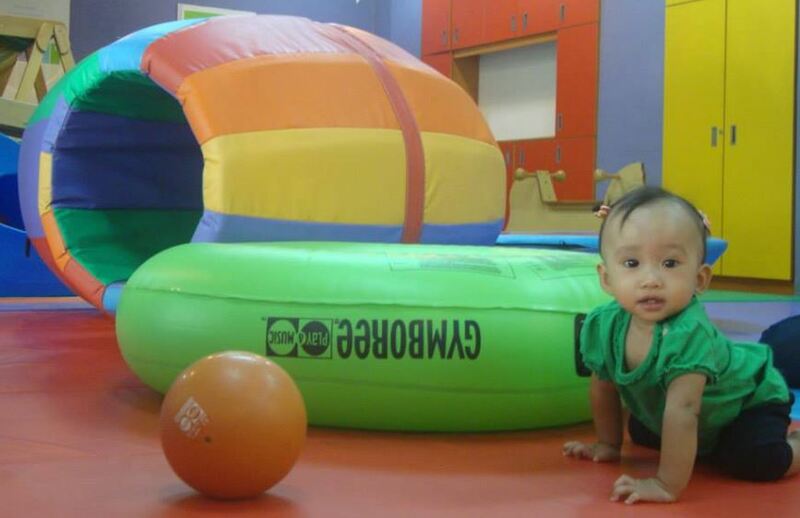 When Summer was still 1.5 years old, we used to take her to the now relocated Gymboree play place in BGC. The staff are kind, and attentive to us, and they don’t immediately force the child to get out of the play floor once her time is up. Overall, we had a good experience. We stopped playing at Gymboree when we moved to Cavite (South of Manila). I got curious if they have any local branches here. Naturally, I checked up Google search and was quite amused they still have this customer complaint (although valid) ranking high in the search results. And not much has changed on their website, as well. I’m writing this down not to criticize or give them a harder time in building online reputation. 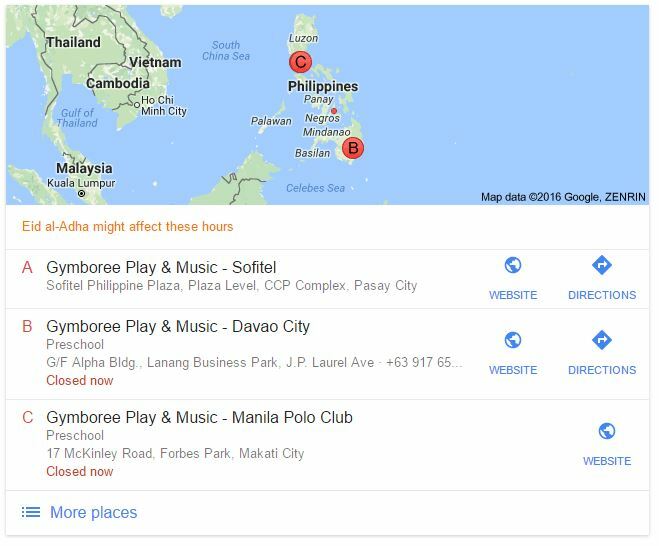 The goal of this article is to help similar businesses with both international and local reach, spot SEO red flags — and know how to resolve them, too. Gymboree is an international brand that adheres to consistent branding guidelines. Proof of this is the various country-specific domains (AU, GR, etc) that display the same look and feel of the mother site. However, I really think there is so much benefit in appealing to the country’s audience you’re catering to. 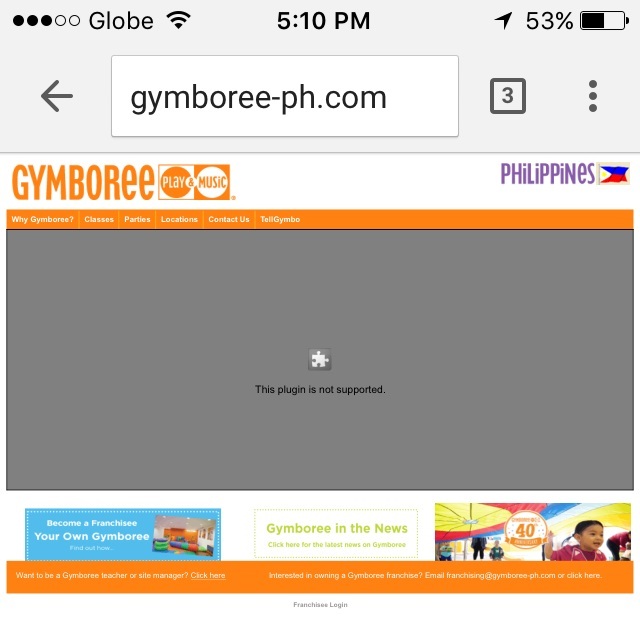 In the PH site, for example: http://www.gymboree-ph.com/ , you can hardly notice a Filipino kid in any of the the photos (Asian, maybe). While this does not affect search rankings in particular, the overall user-experience is not so great. Upon landing on the page, it already feels like I’m in the wrong site (despite the Philippine flag on the right corner). And this type of impression would most likely lead to a bounce. That means you can’t expect your visitors to be as engaging. Less shares, less links, hence, lower search rankings. Maybe Gymboree appeals to expats, but definitely the local Filipino market offers great demand for their play gym. When search engines are confused on which one is the original version, the trust rating is skewed and the site suffers from ranking and traffic losses. Additional tip: Specify via Google Search Console your preferred domain: is it the www or non-www version? Gymboree classes can be classified based on age groups, needs, activities so I believe the site can greatly benefit from keyword targeting. Additionally, optimizing the branch pages using location-based keywords will greatly boost search traffic to their different branches nationwide. 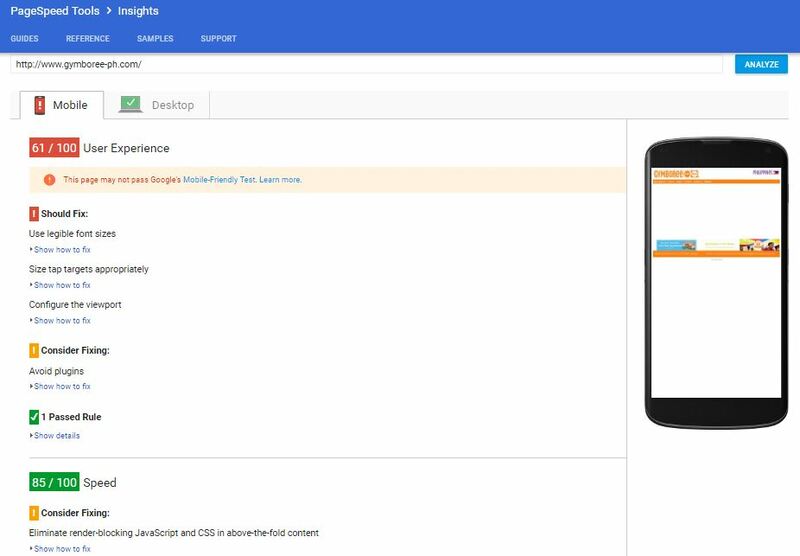 Unfortunately, the site’s meta tags, headings, body content, images, and other on-page elements are not using any relevant keywords or search terms. The meta title, for instance, is the same across all their pages. This checklist item is more about conversion optimization. But still the goal of search engine optimization is to convert your users into clients or customers. Hence, it’s important to ensure your site goals will be met. The “Try a Class” call-to-action (CTA) should be available on ALL pages not just on the homepage. Maybe include this in the main navigation. The green banner on the home page, (where classes are listed) should be made clickable and must lead to the relevant class page. Franchise offers/login is just located in the footer area – which you will hardly notice. The TellGymbo link disappears on main navigation when you visit other pages. Customer Service phone info should be made available/easily seen to increase branch inquiries. Gymboree can better support its local branches by continuing to create sub-pages for all their location branches, like this one in Rockwell Makati. Using the right location-based keywords, and completing all NAP (Name of branch, Address, Phone) details are essential. Build Google My Business listing for all their branches, keeping NAP details complete and consistent, as well. A lot of other toddler playgyms have cropped up ever since Gymboree started the trend. I believe in their advocacy and expertise despite negative reviews online. So I think the brand can truly benefit from a blog strategy. Publishing and sharing content that talks about their expertise on child’s play and learning can help build a thought-leader status for the brand. Such opportunity not only helps visibility in search, but it’s key to branding. I think Gymboree is the perfect brand to pitch to moms – moms who are busy and are looking for playgyms where their kids can have fun and learn at the same time. The Philippines is made up of amazing mommy bloggers. Tap into this treasure trove by launching a blog marketing/link building/outreach campaign with them in mind. They will looooove you for it! This 2013 open letter complaint from a fellow mom appears in search results up until now. Although, the parents have submitted the written complaint formally to Gymboree, and have received a letter of apology from the company, the blog post continues to gain search mileage. Online reputation management is highly affected by SEO initiatives. I believe by doing the strategies mentioned in this post, Gymboree can effectively push down the negative, and create more positive search listings in Google. On a side note, I’d like to say that SEO can only do so much for a brand. Providing the right experience for customers/clients is still key to any success whether online or offline. With due respect, I still think that the issue was not fully addressed in Gymboree’s letter of apology: Staff training to better handle kids with special needs. Also, the playfloor age cap information is still not readily available on their website. These things are crucial in creating a more positive online reputation. As someone who is constantly planning to better understand SEO and ways to bring in more traffic to my site, I actually appreciate this info. Do you have any tips on how someone like me that wishes to discover more can do so better? I hope this does not come off as too much a newbie concern, however I ‘d love to understand how you to the point of having such a grasp on the digital marketing market. With so much details on the subject, I am having a hard time knowing exactly what to think and what not to think. Any ideas?